According to a recent report in the Associated Press, July’s housing prices soared 27 percent, with the Tampa Bay region chalking up some of the strongest price increases in the state. A word of caution, however….. some of the huge increase could be from a technicality rather than an actual 27 percent rise. Why? The mix of homes available on the market has shifted upward in recent months, so that more high-priced houses are selling while lower-priced homes are harder to find and that’s causing the median sale price to rise higher than it would otherwise. 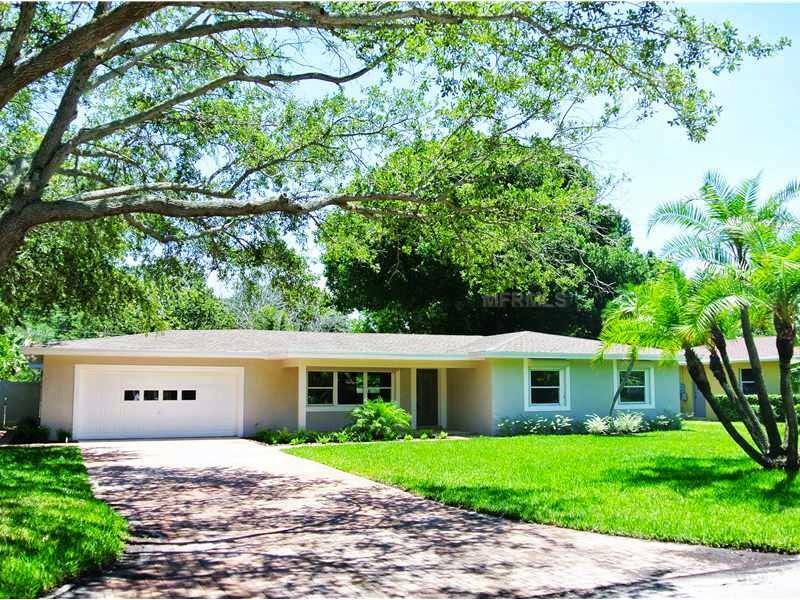 Current Listing in Snell Isles’ Brightwaters Neighborhood. In a report released on August 21st, The Florida Realtors trade group stated the median sale price for a single-family home in the Tampa area rose to $165,000 in July, which is up 26.9 percent when compared with the same month last year. The Realtors group didn’t actually list the median sale price of a Tampa-area home for last year, but a 26.9 percent increase implies a year-ago price of about $120,600. Meantime, the number of closed sales of single-family homes rose to 3,534 units in July, up 22.5 percent over the past year. The Realtors group defines the Bay area as Hillsborough, Pinellas, Pasco and Hernando counties. As more people list their homes for sale because they can fetch more money, they are concerned that mortgage rates have risen about a full percentage point in the last few months. It’s a catch 22…. on one hand home sellers are excited about how much money they can sell their existing homes for, but are worried about how much new home they can afford. So far, local Realtors and mortgage brokers say they don’t think the higher interest rates are keeping people from buying new homes, but the mortgage refinancing business has fallen off a cliff. Mortgage rates for a 30-year fixed-rate mortgage are around 4.4 percent. 191 homes sold for $300,000 to $400,000 in June, compared with 124 homes in that price range a year earlier.